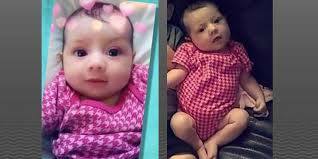 (INDIANAPOLIS) - The FBI has joined Indianapolis police in investigating the disappearance of an 8-month-old baby. FBI spokeswoman Chris Bavender confirmed on Wednesday that the FBI is assisting police with the investigation into the whereabouts of Amiah Robertson. Police on Tuesday issued a statewide Silver Alert for the baby who was first reported missing Saturday by her family. Police said she is "believed to be in extreme danger and may require medical assistance." Police say Amiah's family initially told investigators she had last been seen Thursday and "was not believed to be in danger." That last sighting later was updated to Saturday. Police executed a search warrant Tuesday at a house on the west side of Indianapolis where Amiah was believed to have been left with a baby sitter.